The Basel III regulatory framework has set out new regulatory capital requirements for banking institutions in order to further strengthen the banking sector’s ability to absorb shocks arising from economic and financial stress. Basel III has increased the minimum capital levels to be maintained by banks and has also redefined the criteria for qualifying regulatory capital instruments. Total regulatory capital under Basel III will be increased to 10.5% by 2019 as compared to the current 8% of risk-weighted assets (RWA). The components of regulatory capital have also been reclassified as Tier 1 and Tier 2, with Tier 3 capital being abolished under Basel III. The redefined criteria for qualifying regulatory capital under Basel III will also impact on the forms of capital instruments that will be suitable to be issued as Tier 1 (T1), Additional Tier-1 (AT1) and Tier 2 (T2) capital. In particular, it is noted that Basel III has distinguished between going-concern (where the bank is still solvent and continuing operation) and gone-concern (where the bank is facing financial distress) scenarios and has specified the type of capital instruments that will be affected by adverse economic conditions based on the stage at which the crisis occurs. 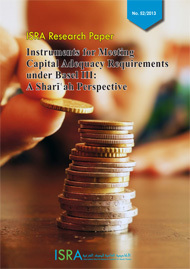 It thus requires the subordination principle to be applied to the capital instruments such that there is a ranking of Common Equity Tier 1 (CET1), AT1 and T2 instruments under Basel III. This provides for T1 capital, which comprises CET1 and AT1, to absorb losses under a going-concern scenario and for T2 instruments to absorb further losses when the bank reaches the point of nonviability or gone-concern.